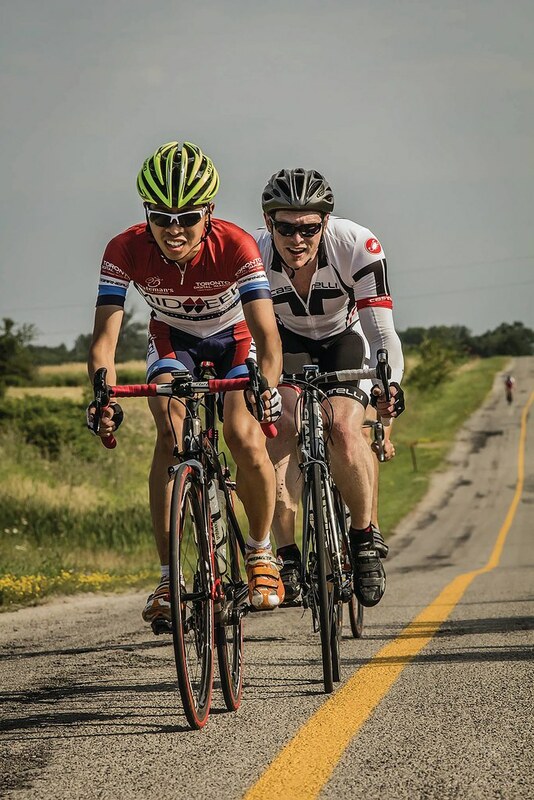 The 2014 Ontario Provincial Road Championship was held near Lincoln. The entire loop was on top of the escarpment, so there is very little elevation change, except for one downhill section leading into a 90 degree right turn followed immediately by a sharp kicker. 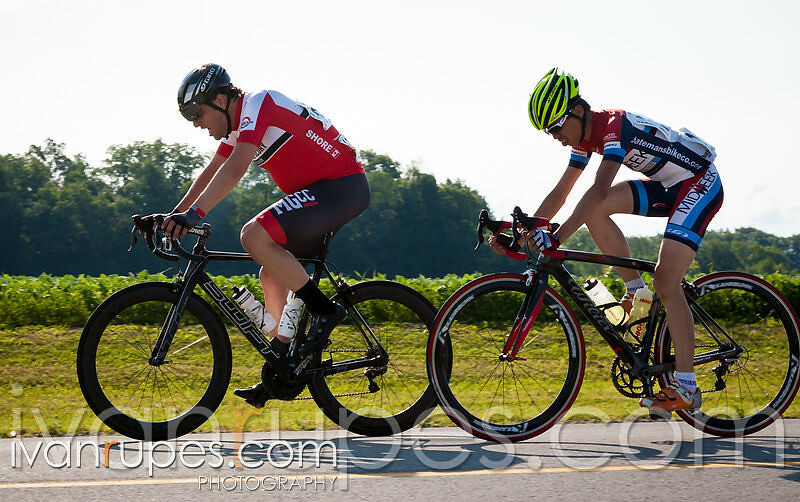 Obviously I was not going to race with the elites, so I lined up with the Sportif starters along with Midweek teammates, Chris, Steve, Joe, and David. Then on the first time up the sharp kicker portion, there was a crash just after making the right hand turn. I did not need to unclip but slowed down quite a lot, which made the climb slower than usual. 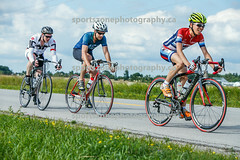 There were a few other guys with me, so we managed to close the gap, but heartrate was nearly maxed out at this point. 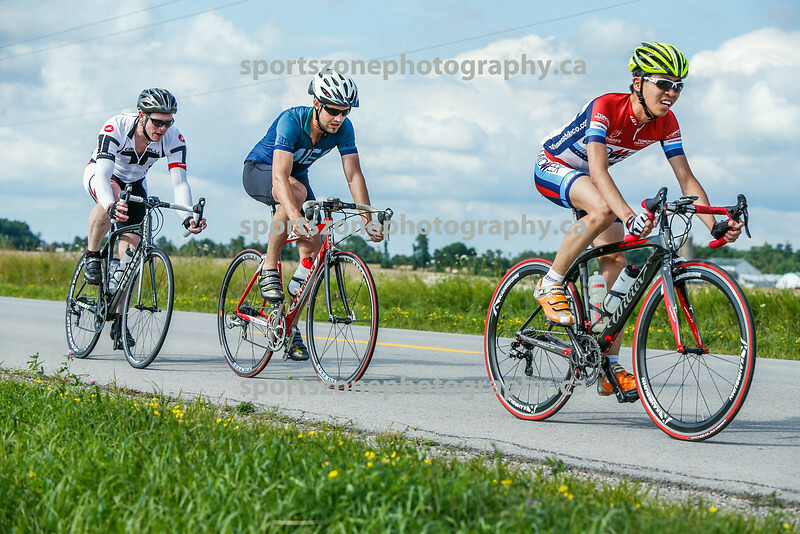 I rode with various stragglers who were all caught up in the crash. Many of them pulled out early. I pulled out after 4 laps. 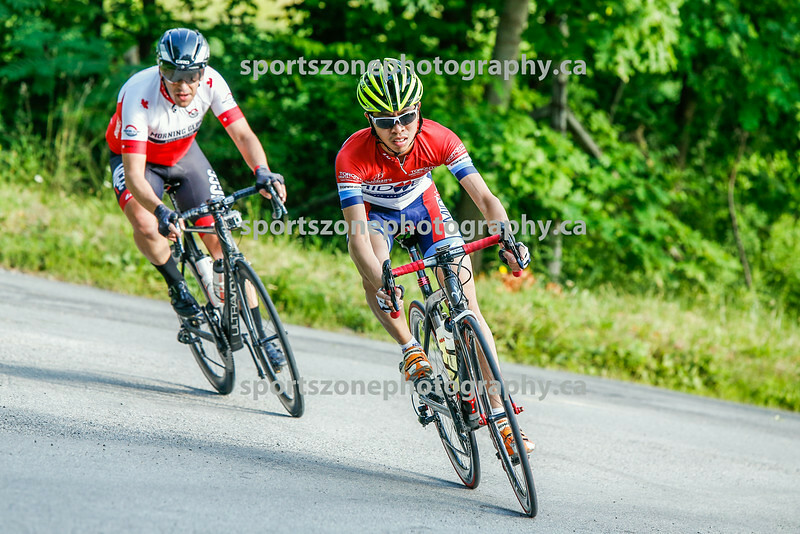 Consolation was some pretty good shots from the photographers on site. 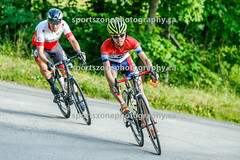 Steve managed to win a podium spot in his first ever race; Chris was involved in a crash. He has since recovered and is back on the bike.